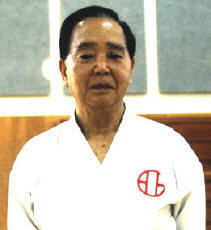 Soke Kenzo Mabuni was the son of the founder of Shito-Ryu Karate-do, the late Kenwa Mabuni. Born on May 30th, 1927 at Akahira-Machi, Shuri City in Okinawa, his family moved to Osaka City, Japan in 1929 when he was 2 years old and he remained in his father's house. Kenzo Mabuni began his Karate training at the age of 13 and had continued his training for the last 60 years. He obtained his Shodan (1st Degree Black Belt) on August 1, 1943 from his father and earned the rank of Judan (10th degree Black belt) as well as a respected master throughout the world. His organization, Nihon Karatedo Kai was founded by his father in 1939. After his father's death in 1952, his mother, Kame Mabuni, came to Kenzo Mabuni and requested that he take over the style. He inherited the responsibility and became the 2nd Governor of Shito Ryu and successor to this organization. His father left him the Shito Ryu name, his complete syllabus, and the dojo with he Association name Nippon Karate Do Kai. All these remain intact until today. He followed his father's syllabus exactly the way it was written down in 1929 and that is why he called his style, "Seito Shito Ryu" or pure, true Shito Ryu. 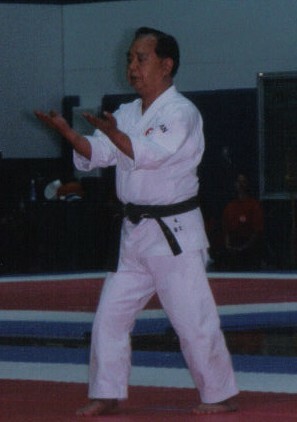 Kenzo Mabuni devoted his life to the preservation of Shito Ryu Karate as his father had created. Kenzo Mabuni remained relatively low-keyed in Japan until 1993 when he was invited to come to America by the late Shotokan Master, Osamu Ozawa. This became the first exposure of the Seito Shito Ryu System outside of Japan. In 1994 he was invited once more to the United States and a following began. Mabuni's organization, Shito Ryu International Karate Do Kai, now has branches in North and South America, Europe, Asia and the Oceania regions. 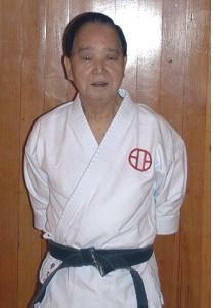 He served as the Kaicho, or President, and Soke (Grandmaster) for this organization. Kenzo Mabuni passed away on June 26, 2005 at 14:45 HRS in Osaka, Japan. Kenzo Mabuni's eldest daughter, Tsukasa Mabuni now presides over the Seito Shito-Ryu Karate-do Kai organization. KATA should start and end with REI (Bow). His vision was that he would continue his father's work in promoting this TRADITIONAL MARTIAL ART and teach only the TRUE and ORIGINAL form of SHITO-RYU KARATE-DO.